Yes, of course it depends on your weight and glider size/type. As this is a beginner’s guide I will assume you fly a properly sized glider within its certified weight range so let´s skip this for a while. This will be enough to get you in the air. As a general rule, more power = more fun. You cannot really have too much. There are many reasons why you will need plenty of power. Actually power is never too much in this discipline. 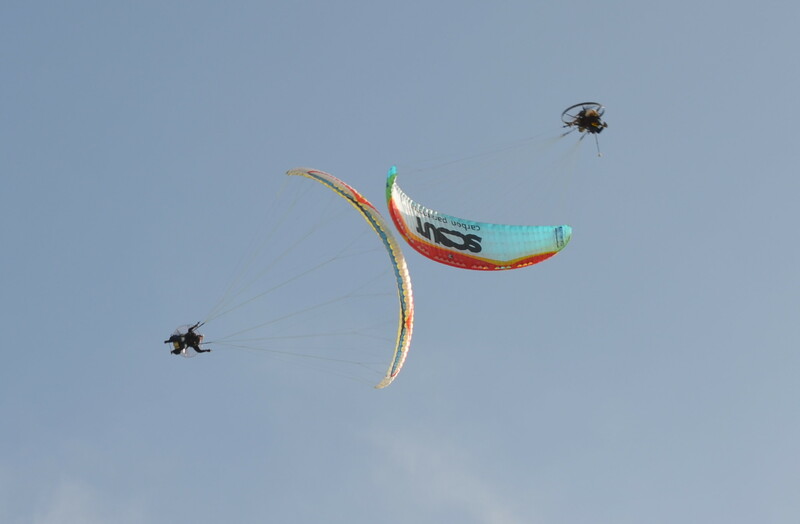 First, small gliders are more fun so you will likely move to a smaller and smaller wing over time. 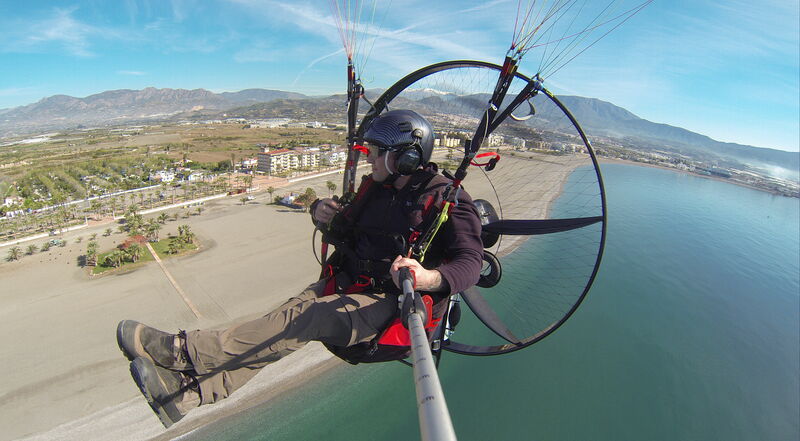 You will probably fly a reflex glider that are known for lower efficiency and need more power. So if you fly a 28 sqm EN-B glider you will probably downsize to 18-20 a few years later (competition pilots fly 15-16). To fly fast you will let the trimmers up and push the speed bar. Believe me, you will need a lot of power. Secondly, you use the power to push you around the pylon. Once you are in the turn and banked your goal is to make the glider fly slow and push your body around as fast as possible. You want your body to overcome the glider. Glider slowed down and your body fast means small turn radius and a powerful motor will push you out of the turn more quickly. This is the moment when you fly at full power no matter how much it is. Flying acro is full of ups and downs. The downs are very fast (spiral, SAT, wingovers, …) so after a short while you will find yourself climbing back to gain altitude for the next maneuvers. So acro pilots either fly with engine off or at full power. With a small engine, the climb will take ages. Get a small one. You only need some power at the beginning to get yourself up in the air. Then you turn it off and find the thermals. other disciplines other than cross-country.